^ Edith Wharton, 75, Is Dead in France. New York Times. August 13, 1937 [2007-07-21]. 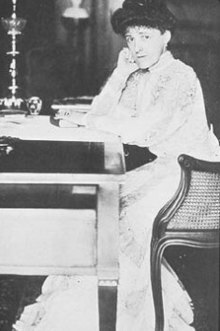 Edith Wharton, American novelist, died yesterday afternoon at her villa, Pavilion Colombes [sic], near Saint Brice, Seine-et-Oise. ^ Domaine du Pavillon Colombe à Saint-Brice-sous-Forêt (95) 互联网档案馆的存檔，存档日期2008-03-11.